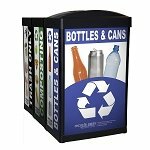 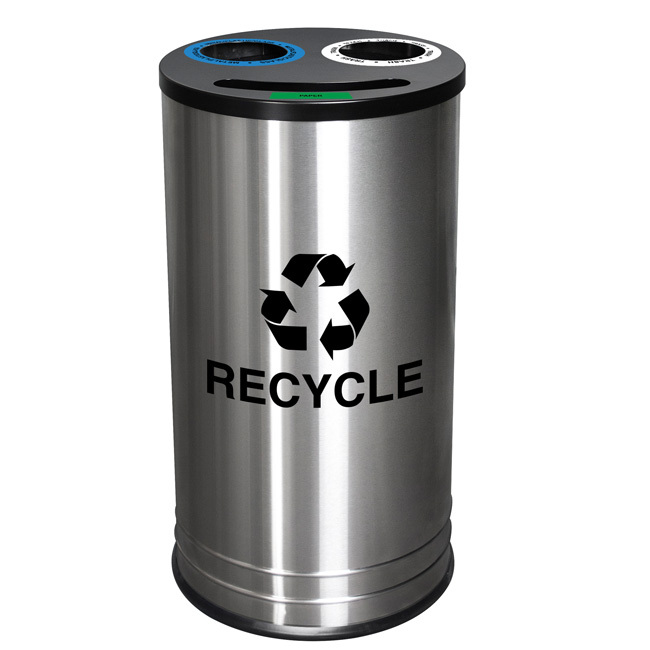 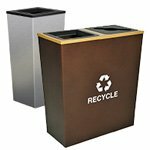 15" x 28" 3-Stream Recycling Receptacle in brushed Stainless Steel with Black Top. 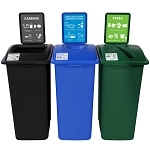 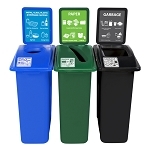 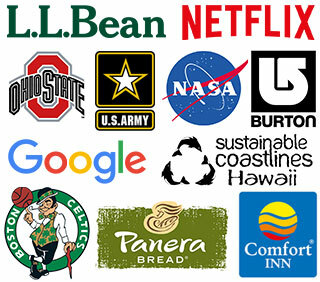 The Lid features one slot opening with a green 'PAPER' decal, one circle opening with a 'TRASH' decal, and one circle opening with a 'METAL/PLASTIC/GLASS' decal. 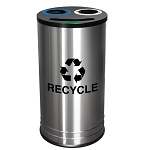 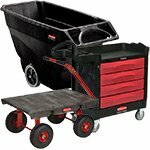 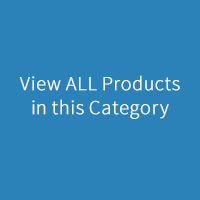 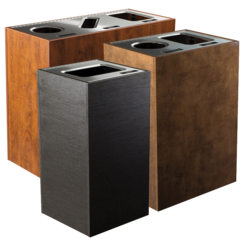 Contains over 60% recycled steel, 100% post-consumer recyclable. 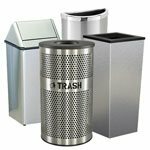 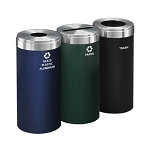 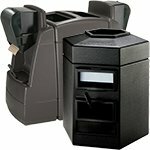 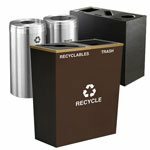 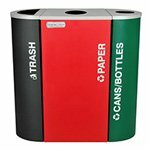 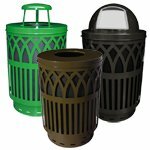 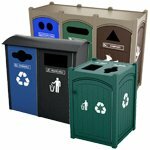 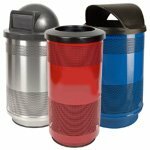 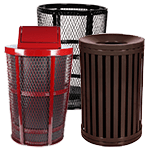 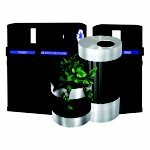 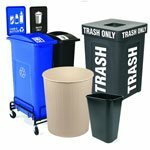 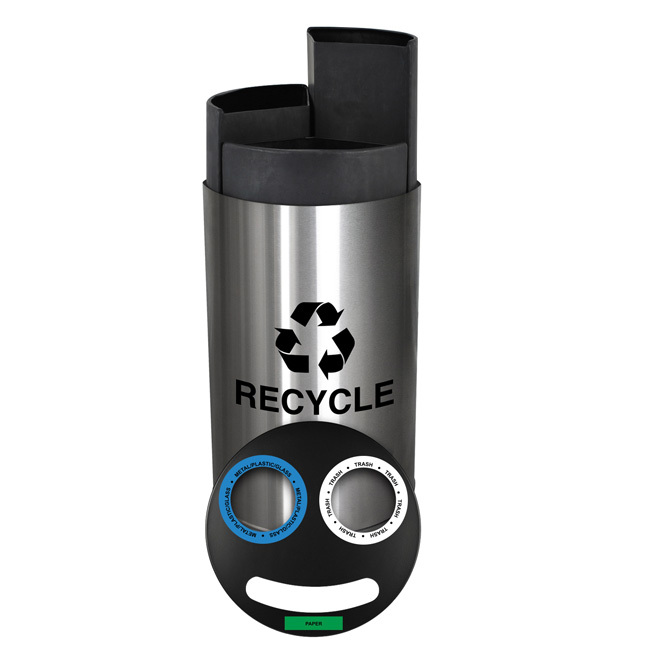 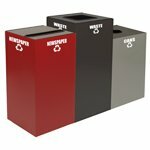 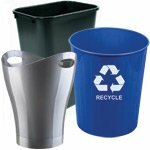 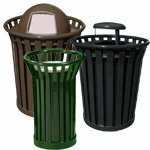 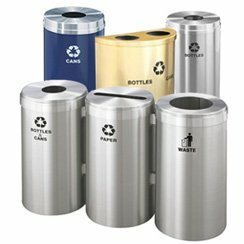 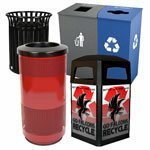 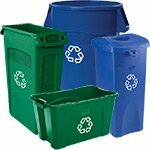 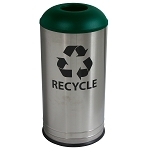 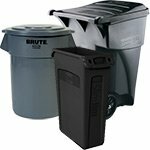 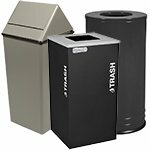 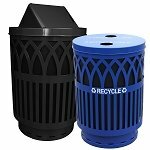 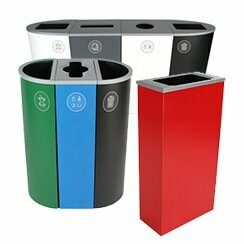 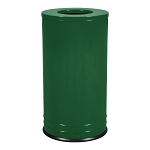 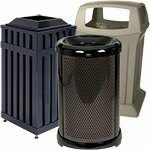 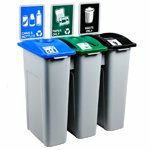 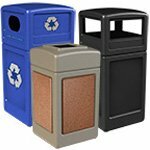 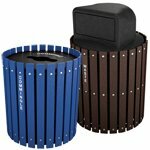 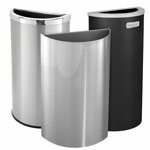 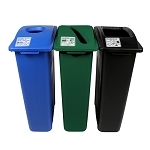 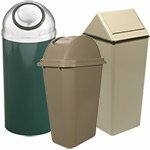 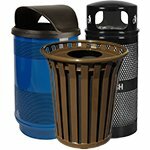 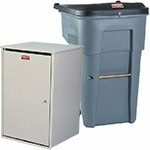 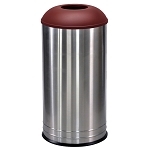 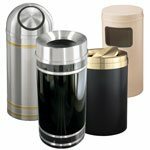 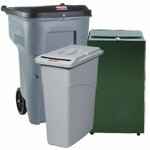 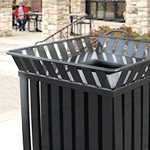 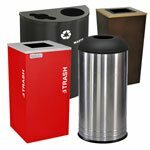 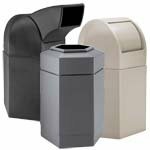 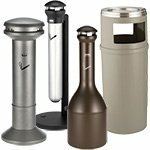 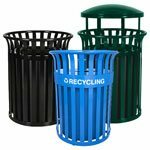 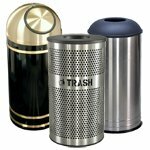 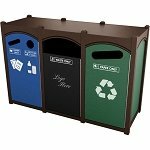 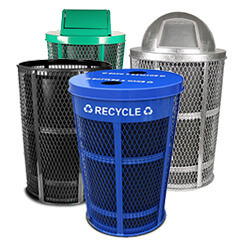 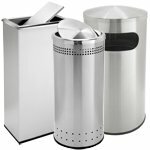 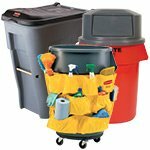 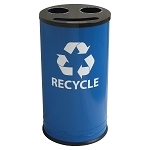 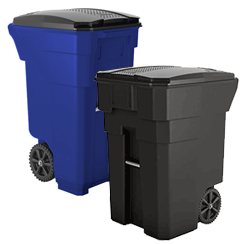 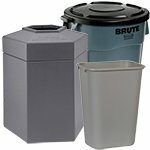 Cafe Style Trash Top Recycling Receptacle with 6" opening. 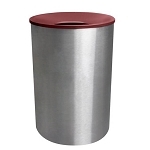 Brushed Stainless Steel body is fire safe with solid bottom. 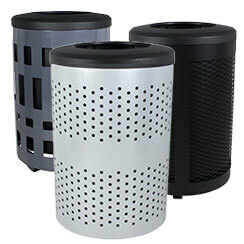 Top removes from body for easy empty and cleaning, unlike comparable units which require the entire body be lifted for emptying. 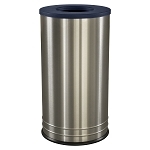 Double beaded base provides additional body strength and stylish lines.